Website domain names and social media handles have become hotly contested territory in recent years, due to their often immense brand value. 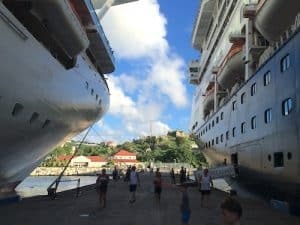 Carnival Cruises found itself not in control of its name on one platform – but made sure it wins in every way when coming up with a way to deal with it. Too often firms get aggressive to try and take control of names they consider to be their intellectual property. However, when Carnival, a giant global cruise operator, found it couldn’t secure @CarnivalCruise on Snapchat, it’s PR people got smart. Read the story here. They went to the guy who had it (through no intention to capitalise on it) and made it worth his while to give it up. Instead of getting into a bidding war though, they made him a spectacle, gave him and his family a cruise and promised there would be more surprises in his VIP experience. With posters planted in his town with his name on and having roped in their ‘ambassador for fun’, former NBA star Shaquille O’Neal, how could their target say no? And why would he want to?! Just brilliantly handled. Everyone wins and everyone feels good about into the bargain.